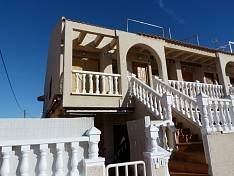 Torrevieja Property.EU is a genuinely independent Estate Agent. We are not tied to any particular builder or developer, we are not a ‘Sole Agent’ of any particular builder or developer, and neither do we have favourite builders or developers. And we promote those builders and developers who pay the least commission, as well as those that pay the going rate. No builder or developer pays us to show potential clients their properties. We have high business ethics, you can trust us. We are transparent. 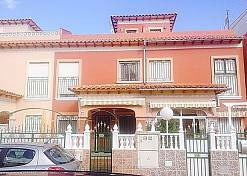 The Spanish estate agency business is not unique in the world, but it is certainly different to that of say the UK. But the crucial point is if you buy a new property direct, or if you buy via an estate agent the price is exactly the same, you have absolutely nothing to lose by using an agent. We guarantee that the price you pay will be the cheapest. We do not hard sell. In fact we believe wholeheartedly that no-one can ‘sell’ you a property. It is you that will, or will not decide to buy a property. We guarantee that you will not be ‘sold to’. There is absolutely no point in doing so, as a ‘forced on you’ sale will only result in the purchase falling through later. We make the experience a happy and fun experience for you. This could be one of the most crucial decisions of your life, so great a decision that you might decide to leave the UK and move permanently to Spain later. But that is no reason for it not to be a happy experience! We are local, we live here, we have owned property here for 10 years and we are well informed. The fact that we live here makes a huge difference. 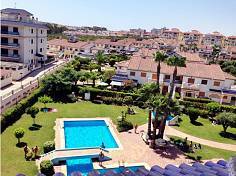 The UK media is full of adverts of lovely Spanish properties, but here ‘on the ground’ the reality is sometimes different to the marketing story, for example some so called ‘5 Star Resorts’ are anything but and one urbanisation marketed as ‘La Marina’ has no marina … because it is inland! Another marketed as a Golf Resort has no golf course! We do our homework. The lawyer we recommend will NOT allow a customer’s purchase to proceed until they have researched the builder/developer concerned and are happy with what they uncover. We want you to be able to sleep at night! We are honest. We will tell you honestly the pros and the cons of each property. We do not sell properties without planning and building permissions. Sounds simple enough doesn't it, but some agents have sold properties without these essential licenses. We do not sell properties where the builder/developer does not offer bank guarantees to safeguard the clients money. We can, and have, arranged 'Special Deals' for clients.